Tags: glass beaded necklace, statement necklace. 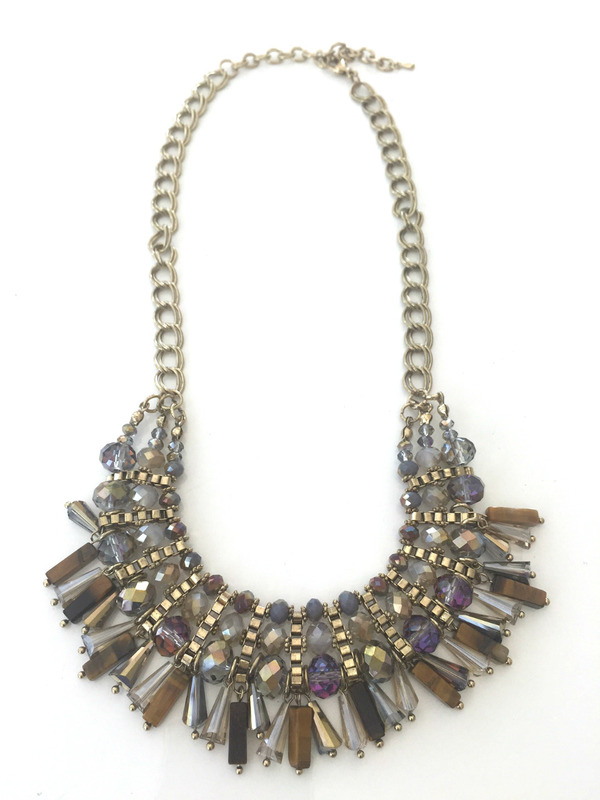 From our Urban Iridescence Collection, our Beaded Glass Statement Necklace is a mix of both vintage flair and modern glam. Strands of colorful jewel toned glass beads are weaved across a gold toned chain, and adorned with additional colored beaded “fringe”to finish off the look. 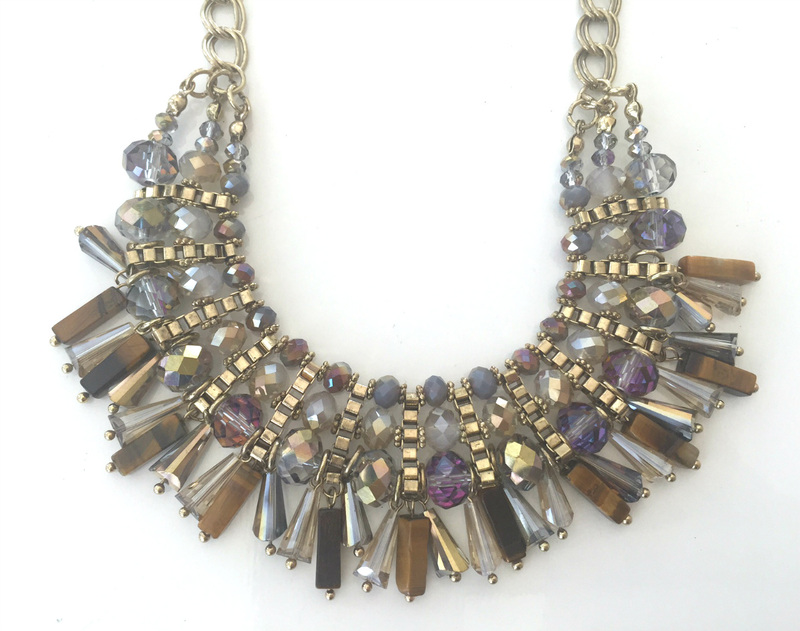 This piece adds that extra bit of drama to any outfit from daytime casual to evening chic.